Read the latest news from Scali Rasmussen, including legal alerts and event listings. At Scali Rasmussen we stay ahead of the curve on new and trending issues. In addition to publishing our monthly HR newsletter, Coffee Break, and our quarterly auto dealer newsletter, Ahead of the Curve, we are often called up to comment on new and trending issues, or asked to speak about relevant topics. Occasionally, our thought leaders are recognized for their contributions to the legal profession, while winning victories for our clients. Here are a few of the developments at Scali Rasmussen over the last quarter. As we previously reported, on June 28, California adopted AB 375, the strongest privacy law in the nation. The new law is modeled somewhat on the European Union General Data Protection Regulation (GDPR), which famously purports to give customers the “right to be forgotten,” and gives consumers several new rights, aiming to bring more control and transparency to the murky trade and use of people's personal data. It also, for the first time, provides consumers with the ability to sue companies that mishandle their data without ever having to prove harm due to the misuse. On July 12, 2018, the Federal Trade Commission (FTC), working with partner agencies, announced the results of a national “compliance sweep” of car dealerships that occurred between April and June of 2018. Many of the dealers involved in the sweep are located in California. The purpose of the sweep was to evaluate compliance with the new Used Car Rules that took effect earlier this year. The most significant change to the rule was the adoption of an updated Buyers Guide. Certified Pre-Owned vehicles can attract more buyers and add profit to your bottom line, but don’t underestimate the importance of properly complying with the factory’s guidelines. Improper certification is a claim we see increasingly raised by consumer attorneys against dealers, and the CPO inspection is not limited to check-marking the appropriate boxes on the manufacturer’s CPO checklist. Most of you are aware of the decision by the California Court of Appeal in Benson v. Southern California Auto Sales, Inc. (2015) 239 Cal.App.4th 1198, holding that a plaintiff cannot maintain a suit for damages if the defendant made an appropriate and timely correction offer under the Consumers Legal Remedies Act, or CLRA. The CLRA provides dealers with a “safe harbor” to settle a CLRA claim before suit is filed if an appropriate correction, repair, replacement, or other remedy is given, or agreed to be given within a reasonable time, to the consumer within 30 days after receipt of the notice of violation. It received plenty of coverage in the national press last March when Los Angeles Superior Court Judge Elihu Berle issued his tentative ruling in a recent Proposition 65 case against roasters and sellers of coffee that would effectively require a clear and reasonable warning that brewed coffee contains a chemical known by the state of California to cause cancer, because coffee contains acrylamide, a listed carcinogen. This had far greater potential than just a judgment against coffee companies. The private enforcer / bounty hunters might well argue that any business with ten or more employees that served coffee—whether a restaurant, a coffee shop, or an automobile dealer with a coffee-serving lounge—would be required to warn coffee drinkers that they were being exposed to a chemical known to the State of California to cause cancer. On June 11, the United States Supreme Court (SCOTUS) decided China Agritech, Inc. v. Resh, et al., No. 17-432 (U.S. June 11, 2018) (“China Agritech”), holding that the statute of limitations is not tolled for class claims during the pendency of a class action. This has important implications for class action defendants, in that it prevents subsequent class actions and extortionate class settlements on the same claims when class counsel (or new class counsel) finds a subsequent class plaintiff to file a successive class action suit on the same claims as an earlier class action. This tactic, known as “piggyback” class action filings, where an otherwise untimely class suit is filed on the theory that the time to sue is extended by the pendency of a prior class case, is common. But, no more. It is important to note, however, that China Agritech was decided under Rule 23 of the Federal Rules of Civil Procedure, not under the class action procedure available under California law. Since the beginning of 2017 there have been a number of decisions issued by the Courts that have changed the legal landscape for businesses defending class actions in California. This article touches briefly on the decisions during that time that we see as the most significant. Back when service loaner vehicles were an uncommon perk, parties to a buy-sell agreement may have simply treated them as “used vehicles” without any thought as to how to calculate their value. But now that service loaners are increasingly necessary under factory margin programs, or simply to offer competitive customer service, it is worth carefully considering how to address them when a dealership is sold. What does the new privacy law mean for dealers? Coverage has been breathless regarding AB 375, titled the California Consumer Privacy Act of 2018. Its history is dramatic; it went through the legislative process in only a few days in order to head off an onerous ballot initiative. The topic is similarly intense; over the last few years, data privacy and security events have dominated the news from business to politics. 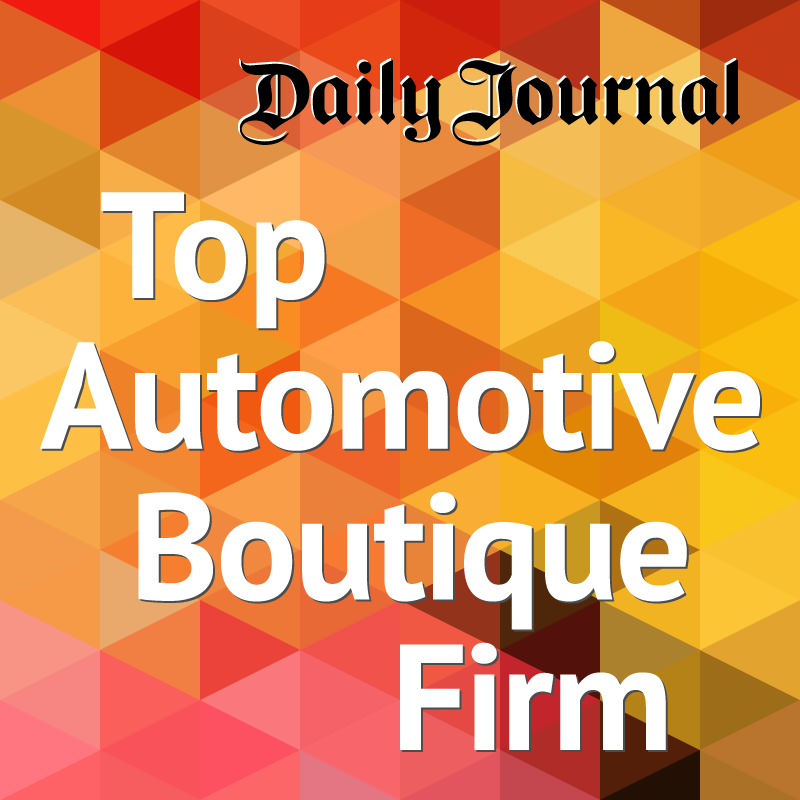 How will the new law affect dealerships? What is adverse action and does timing prove a causal connection?